The FMS Annual Meeting brings together faculty, PhD students, and postdocs working in the participating groups of the FMS Research Center to share the latest developments and breakthroughs of their research. The aim of this event is to stimulate discussion and interaction between members of the FMS groups, with the intention to further strengthen the collaborations and joined efforts leading to outstanding research. Taking in consideration that most of the FMS members will attend CHAINS in Veldhoven, for convenience we have decided to hold this first FMS Annual Meeting one day before CHAINS and in the same location. All PhD students and postdocs are invited to present a poster during the poster session after the dinner. Poster boards will be available. There is a maximum of 100 seats available. They will be assigned on first come, first served basis. FMS faculty and FMS postdocs and PhD students, are highly encouraged to attend and will have priority on the registration. Please indicate on the registration form if you are interested in staying in Veldhoven on Sunday night. If you are also attending CHAINS and staying on Monday night, you will be assigned the same room. To register please follow the link ‘Open registration’ below (complete the registration form that will appear on a pop-up window). 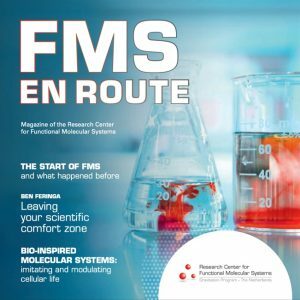 If you encounter any problem or you have any question, please send an email to info@fmsresearch.nl. Registration deadline: 14 October 2014.